The Pastoral Care approach at St Mary's College draws its inspiration and guiding principles from the life of Jesus Christ. It is concerned with the dignity and intergral growth of each person and is a responsiblity entrusted to all members of the faith community to contribute to one another's growth and journey towards wholeness. It is a force for healing, reconciliation and liberation and an expression of and commitment to justice. The College recognises the uniqueness of each student. By maintaining a safe and caring learning environment where each student is encouraged to actively participate in their education becoming indepenedent learners and confident and responsible individuals. 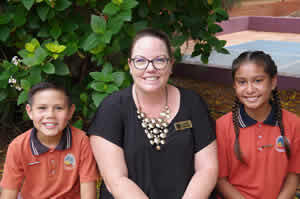 At St Mary's College we appreciate the unique multicultural background of our families and recognise that parents are the primary educators of their children. A close relationship between school and families is essential to create partnership and foster two way communication for the benefit of each of our students. The College staff, while being dedicated to the overall goals of the College, will be cared for and supported. 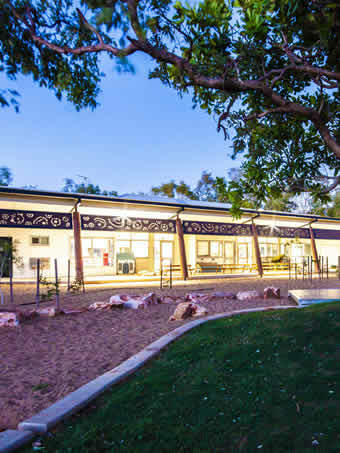 Many staff members come from interstate to make their home in Broome while they are employed at the College. We endeavour to ensure that new staff members feel welcomed and included in the wider St Mary's community.